No one will be turned away for shortage of funds. Please contact Rabbi Schmukler to RSVP. Join us this Tuesday, April 4 at 7:30 pm for the second Pre-Passover Class (each class is stand alone)! RSVP Optional - simply reply to this email. Remember, quantity is limited so please order ASAP! Your order will be available for pick up from Chabad Bay Area (please call in advance). Kiddush Lunch - Welcoming Wolraich Family! To extend a warm welcome on the occasion of their move into their new home in the Chabad Bay Area community! Optional RSVP - reply to this email. Join us this week for a special Shabbat! 1) At the end of the Torah reading we declare "Chazak, Chazak, Venischazek!" ("May we be strengthened!") as we complete the reading of the Book of Exodus. 2) It is "Shabbat Mevorchim" - When we bless the upcoming new month of Nissan. Also called "Hachodesh" because of its special Maftir reading. 3) Finally, we'll have a special Kiddush lunch sponsored by Rabbi Yitzchok and Malky in honor of the Shlomi and Samantha Wolraich family. Service followed by buffet Kiddush lunch! 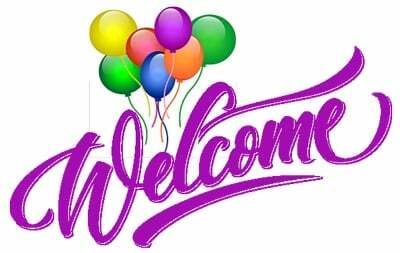 Note: As always, you are welcome to join in at the time that works best for you. New Photo Album - Grand Purim Bash! A wonderful time was had by all at this year's Grand Purim Bash! This year's theme was "Israeli Style". Check out the photo album! Torah Portion includes "Parshat Zachor" - "Remember what Amalek did to you" - it is a Mitzvah to hear this special reading on the Shabbat before Purim. Please come and join us! Sunday: The Grand Purim Bash! 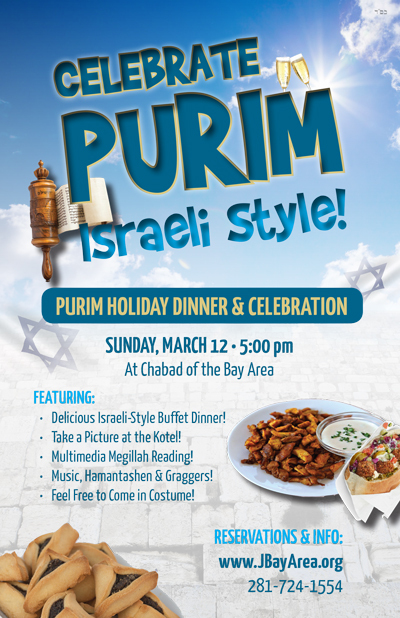 If you have not yet done so, please be sure to RSVP for the Grand Purim Bash this Sunday! Delicious Israeli-Style Buffet Holiday Dinner! Including: Schwarma, Falafel, Shakshuka, Babaganush and lots more! Say L'chaim! on a selection of Israeli Wines! Get your picture taken in front of the virtual Western Wall! Masquerade! Lively Jewish music and Purim fun for all ages! Sponsors will be recognized at the event. Your generous support makes these events possible - Thank you for your partnership! 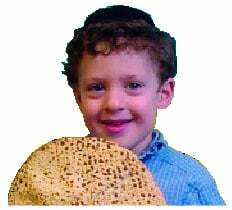 Join our grand Purim Dinner - 'Israeli Style' - to enjoy the Purim Feast in all its glory! Advance RSVP kindly requested: click here for more info or click here to reserve. A great class of close to 20 students enjoyed the 6 week JLI course, The Dilemma. Students had a great time applying Talmudic style reasoning to a series of fascinating legal and ethical dilemmas. It was a wonderful way to experience the thrill of in-depth Torah study while applying it's lessons to the modern world! Watch your email and home mailbox in the next few weeks for the beautiful course brochure.